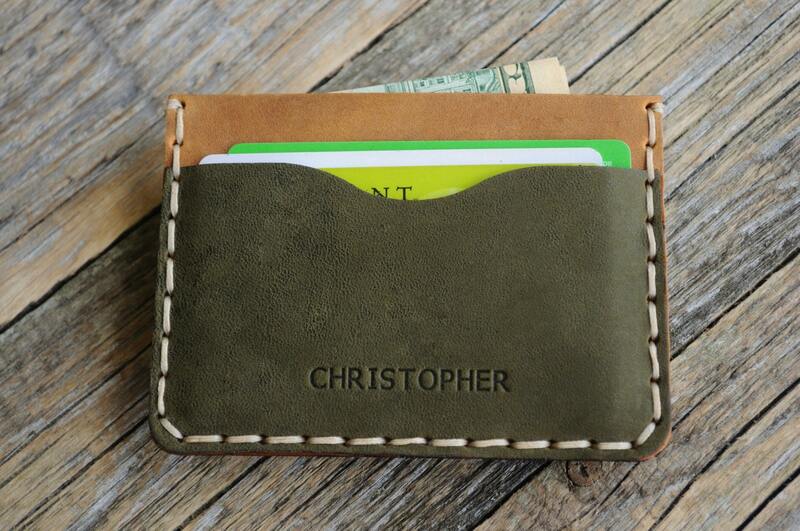 PERSONALIZED Dark Green and Tan Leather Wallet. Credit Card, Cash or ID Holder. Unique Unisex Pouch. 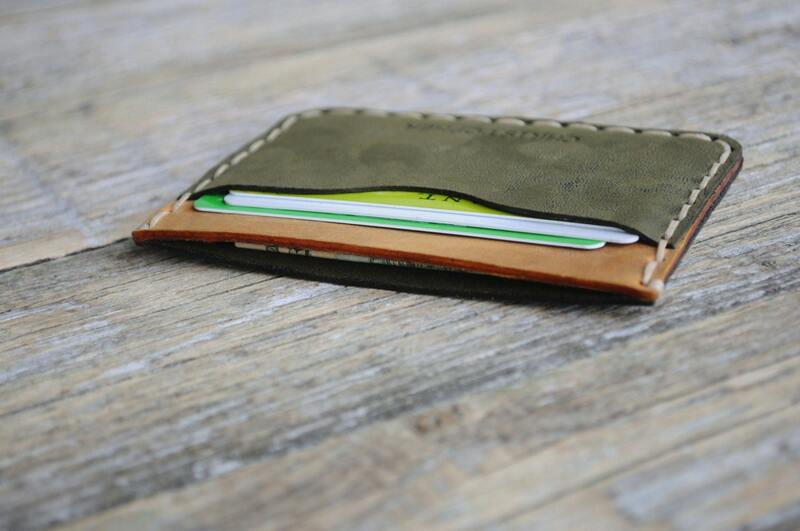 This wallet is soft and beautiful and stays in my pocket without me ever feeling it because it's so thin and small and perfect.